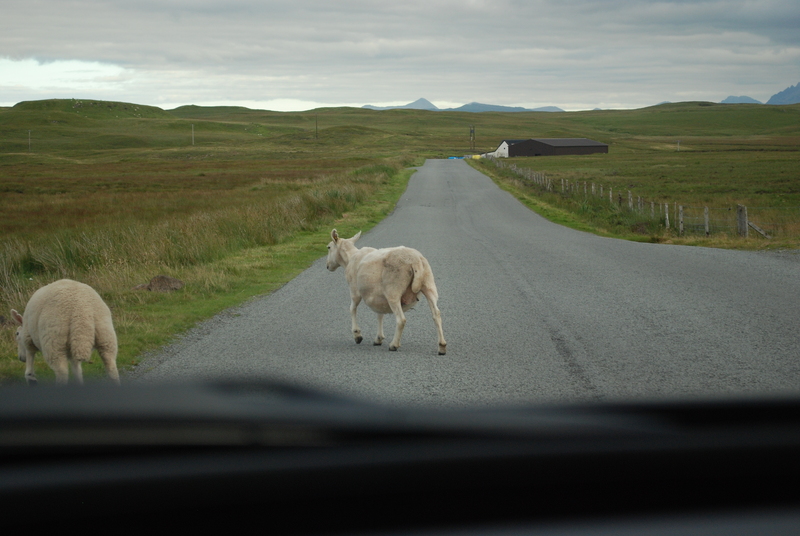 A story of driving to the Isles. Flying into Scotland, I liked the idea of riding the train. 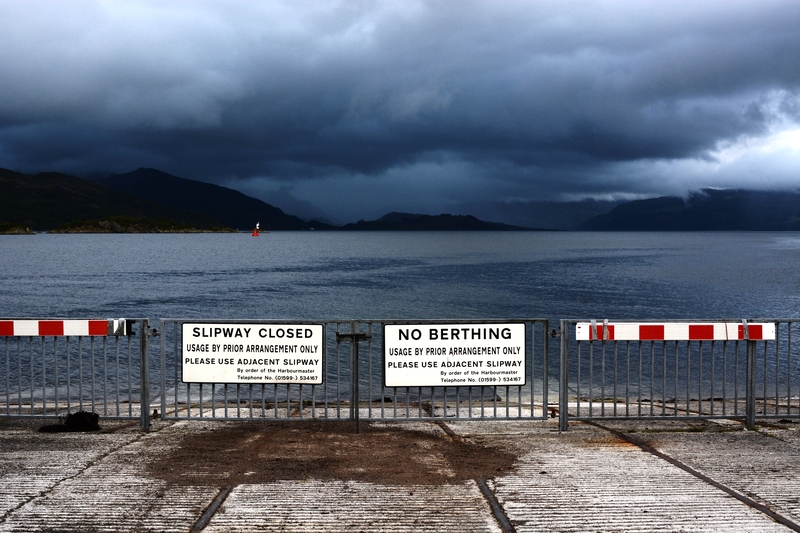 That is, until I saw ticket costs, and that the train could only take you as far Northwest as Kyle of Lochalsh or Mallaig. So, rental car it was. 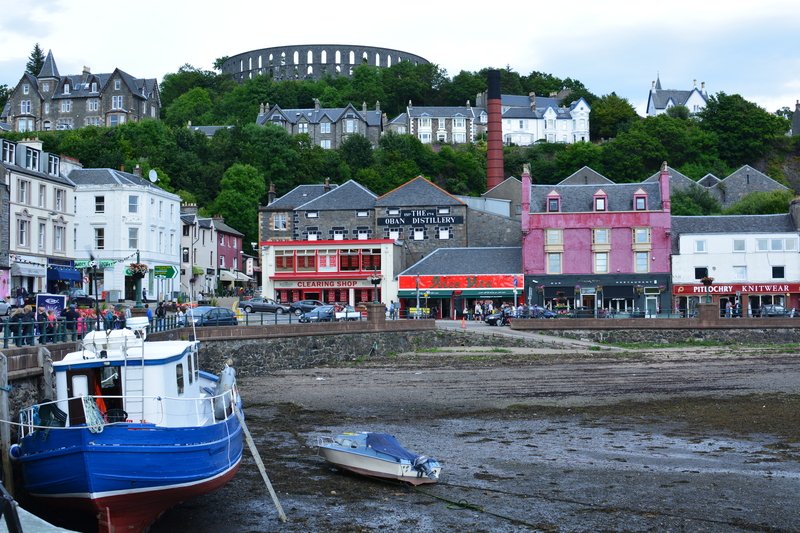 The “Gateway to the Isles”, Oban is a mere 2:30 drive from Glasgow airport. If you are considering a similar trip, you should know that the average rental car is both Diesel and Manual. Right hand drive is a mild challenge, add manual transmission to that and it becomes a bit tough, add city traffic and roundabouts and it feels really hard- then get out north, and the roads become terrifyingly small. This last Parliament, we flew into Glasgow, and with only one traffic infraction that we know of (who puts a stoplight INSIDE a traffic round-about… Madness I say!) got out of the city without incident. 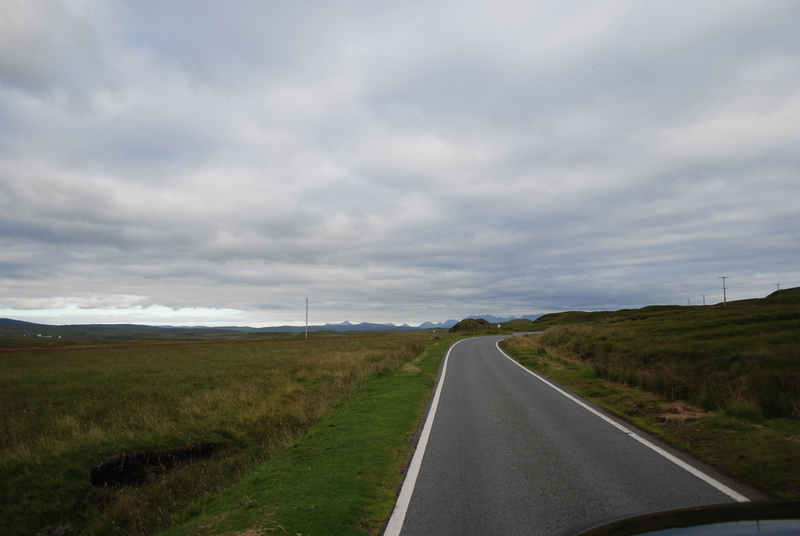 This however then led to the terrifying drive north on the A82, which in some sections might best be described as two bike lanes next to each other. 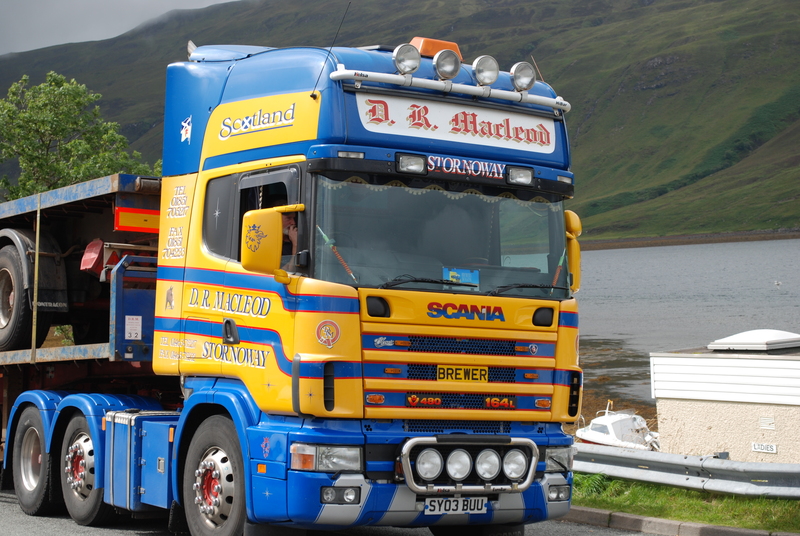 A rock wall immediately abuts the northbound lane, and a cliff to Loch Lomond lurks just inches from the paint of the lane on the southbound lane, which was populated almost exclusively with euro semi-trucks and tour buses. It kind of reminded me of the Star Wars X-wing trench run on the Death Star (no connection to the previous posting intended), except there was opposite traffic. Generally, if you were not hitting the hedges and plants growing out of the rough rock wall, your driver side mirror (on the right, which feels REALLY odd, mind you) whizzes past the fenders of passing ‘Lorries’ with less than an inch clearance. 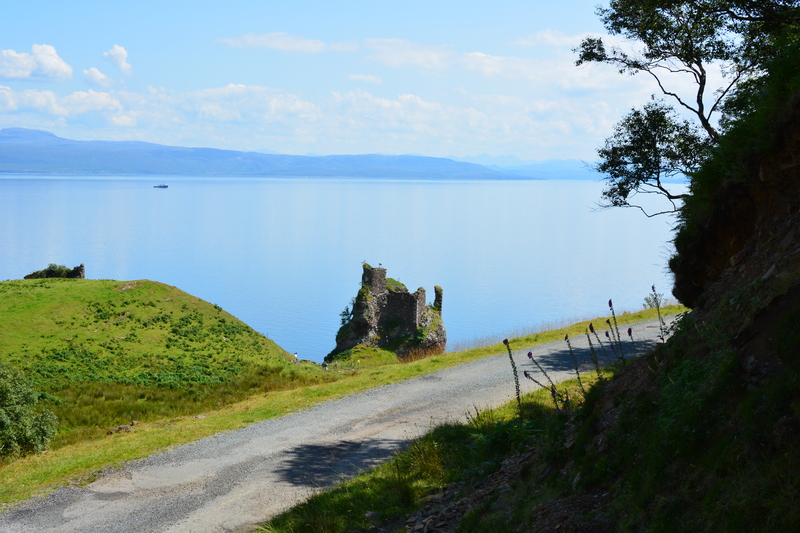 Oban was a welcome relief, finally able to peel my white knuckles off the steering wheel and heave a sigh of relief. 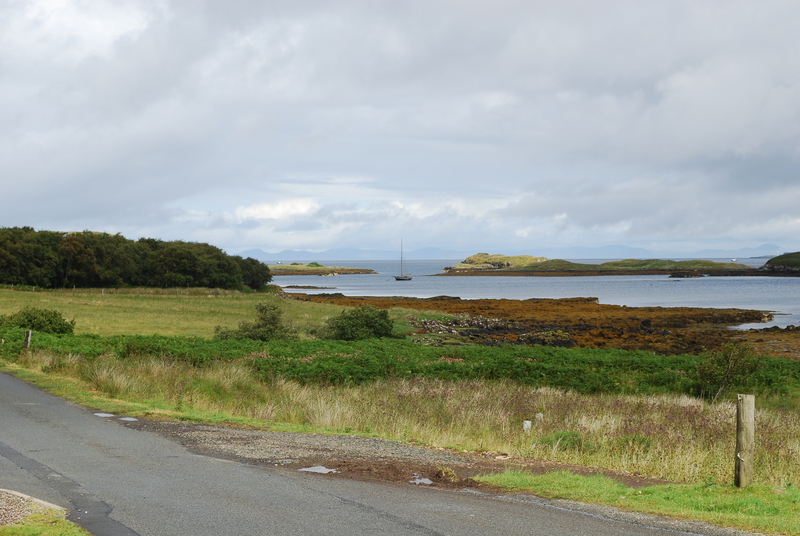 Despite the warren of one-way roads, Oban was no more difficult than driving in the small villages of Germany. 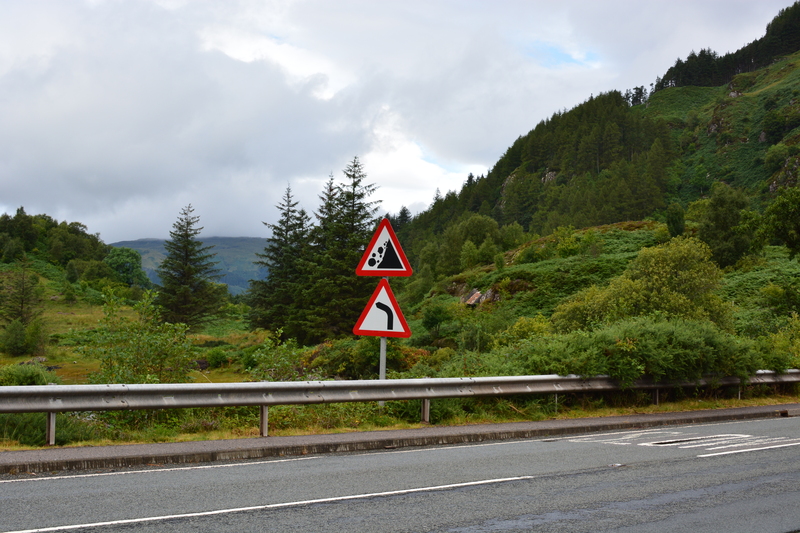 Extra points for English translations below the Gaelic on street signs. 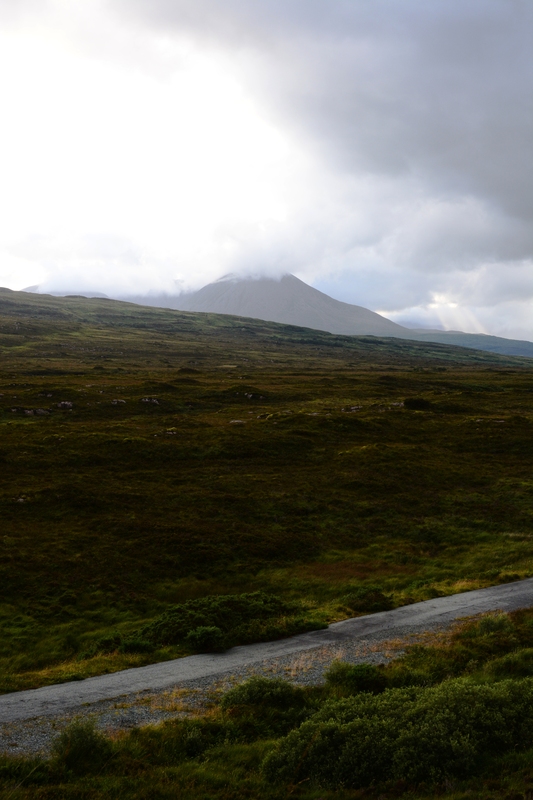 Is it just me, or does everything sound far more epic in Gaelic? 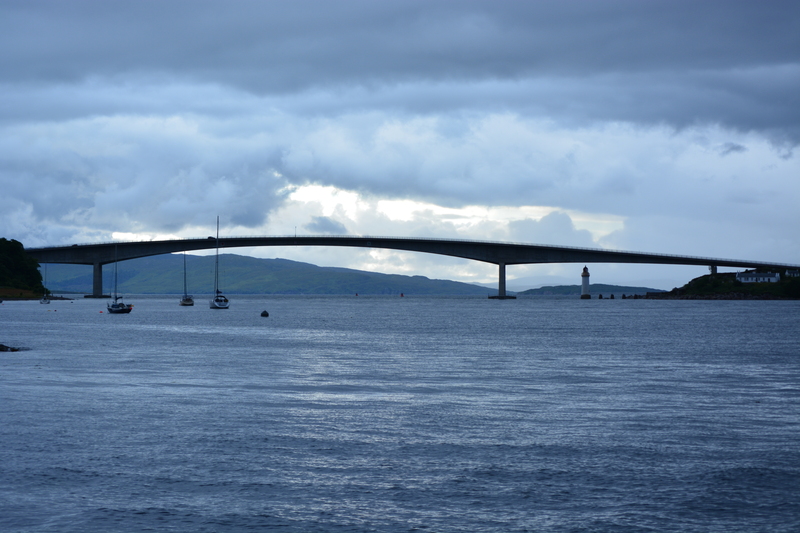 Due to the “New” bridge to Skye (1995), getting from Oban to Skye no longer means a boat ride. 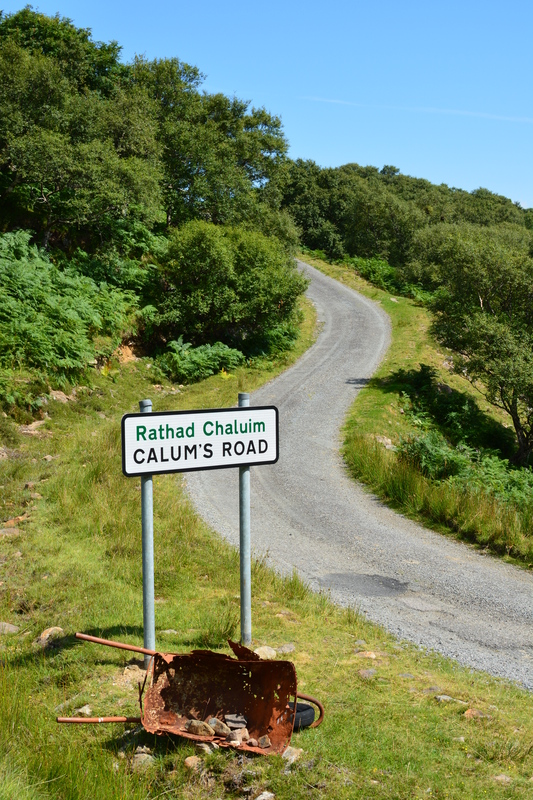 “Calum’s Road” on Isle of Raasay. Made by Calum MacLeod over 10 years, singlehandedly with only hand tools. 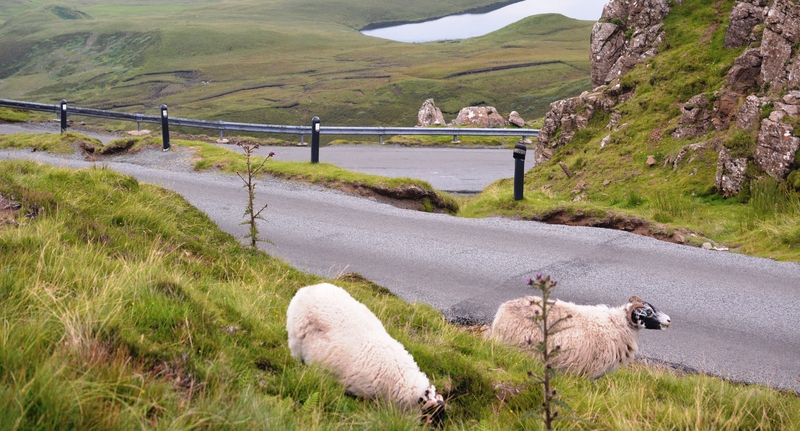 At least the very serpentine road leading up the Quiraing on Skye has Guardrails. 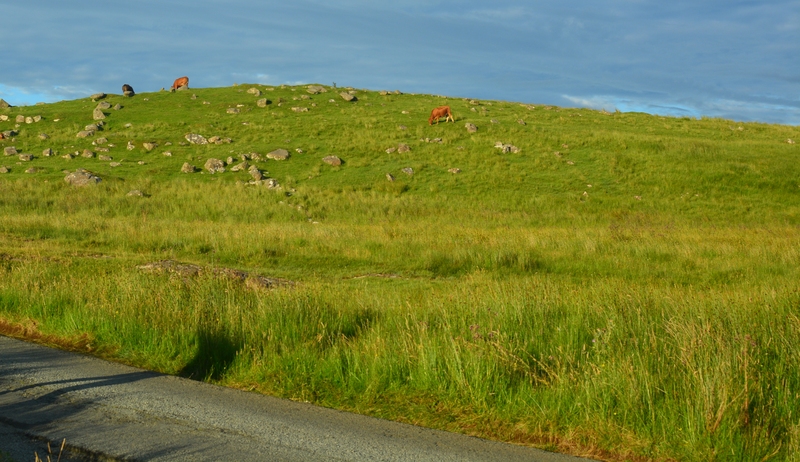 Speed is very effectively regulated by the curves and sheep. 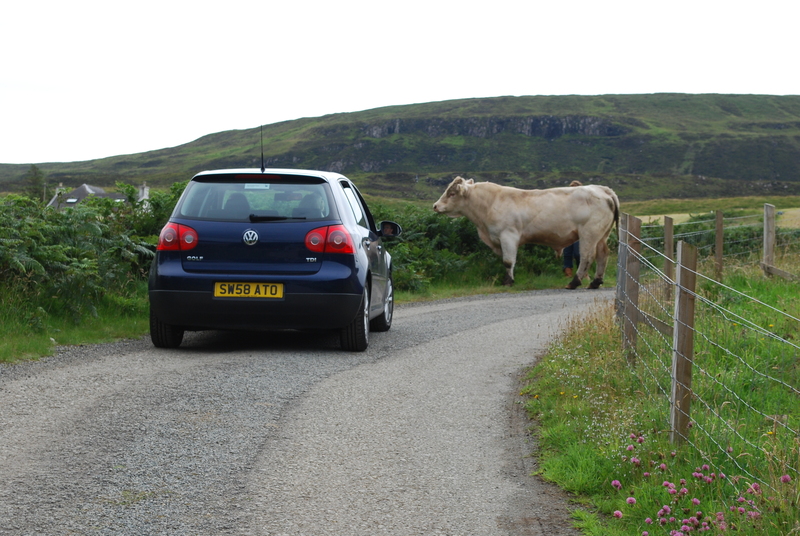 Livestock always has right of way! 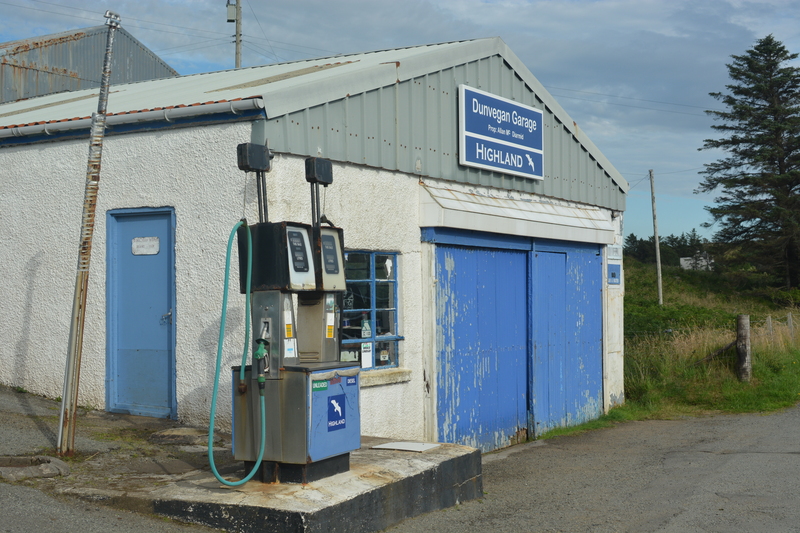 One thing is for sure, don’t forget to plan your fuel stops- Many places in the Isles are not open on Sunday! 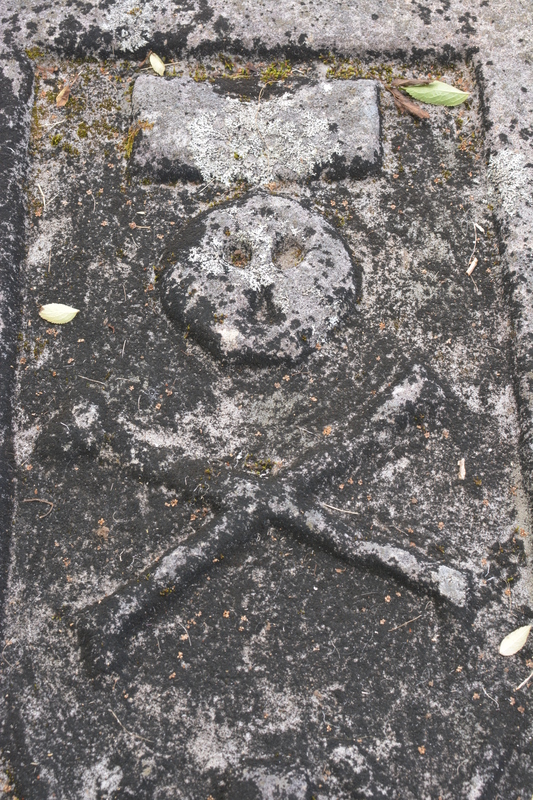 There are consequences here for poor planning. The scenery does make it worthwhile however! 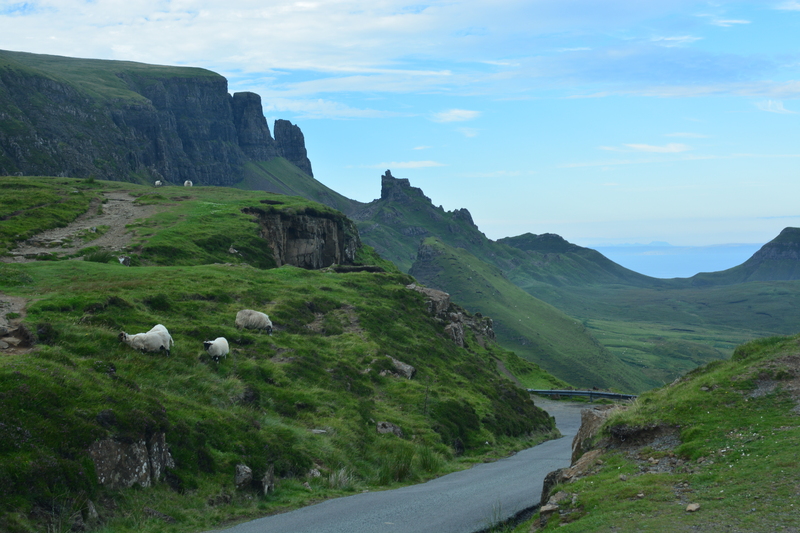 This entry was posted in Isle of Skye, Parliament, Scotland and tagged MacLeod, Skye, Talisker, Tourism. Bookmark the permalink. 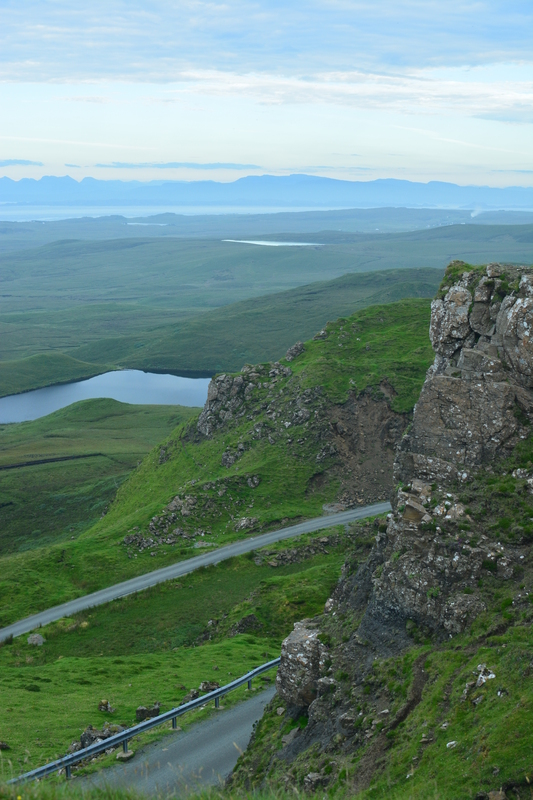 ← Star Wars Episode VII scenes on Skye?